Museums across Wales house some amazing natural treasures. 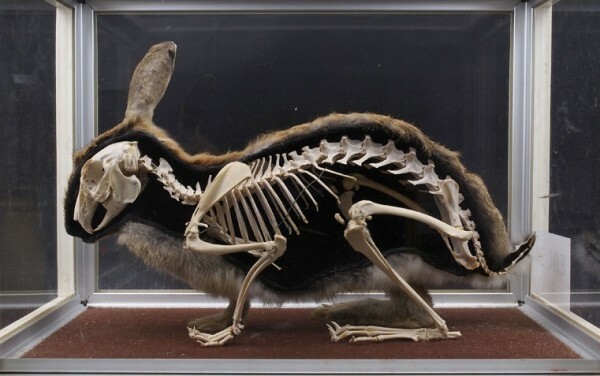 Stuffed, Pickled and Pinned is a special exhibition which draws on just a tiny fraction of the rich natural science collections in 18 of those museums. The unusual and extraordinary come together in this ‘cabinet of curiosities’ which has just opened at Chepstow Museum, the final venue of this touring exhibition which has been travelling around Welsh Museums over the last few years. The exhibition is the culmination of three years’ work behind the scenes at local museums across Wales to find rare, beautiful and often unexpected natural history objects, some of which have never been seen before. The aim of the Linking Natural Science Collections in Wales project was to find about these collections and share information about them with the public. To do this, staff and volunteers in the museums worked with experts at Amgueddfa Cymru – National Museum Wales to examine and identify specimens and learn more about over 70,000 natural history objects in the regional museums across Wales. Minerals, fossils, insects, taxidermy, bones, shells, plants and preserved animals – these amazing natural treasures help us to understand the world around us and our place within it. The exhibition explores the collections and how these specimens can still help to answer vital questions in modern research. It also challenges us to consider our relationship with nature and to consider humanity's impact on the natural world. A delicate watercolour by Ladybird book illustrator Charles Tunnicliffe, a seaweed ‘book’ created inside a scallop shell, a fossil seashell found at the summit of Snowdon, a rare auroch’s bone from the Severn estuary and a mummified cat, rub shoulders with rare curiosities from all four corners of the globe such as a stuffed platypus from Australia and a dessicated poisonous porcupine fish. From our own collections at Chepstow Museum is a watercolour showing the stages of development in the life cycle of a Turnip moth drawn by Georgiana Ormerod to illustrate her more famous sister Eleanor Ormerod’s work as an authority on insects that were harmful to agricultural crops. The sisters grew up at Sedbury Park, Chepstow, but Eleanor’s career only began once her authoritarian father the antiquarian George Ormerod had died. Visitors of all ages will be intrigued and amazed by the array of exhibits, and there is a special table with extra things to explore and activities specially designed for younger visitors. Don’t miss this last chance to see this fantastic exhibition at its last stop on its tour around Wales. Stuffed Pickled and Pinned is at Chepstow Museum until July, entry is free and the Museum is open daily from 11am until 4pm.